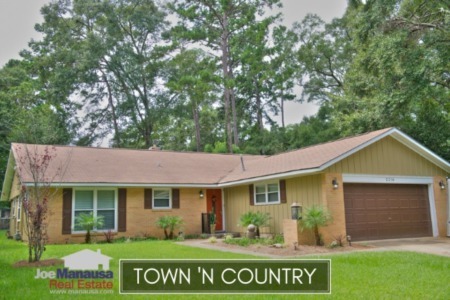 Town N Country Park is a gem of a neighborhood located within a mile of the updated Centre of Tallahassee. Featuring three and four bedroom homes mostly built in the 1960s and 1970s, we are seeing a lot of buy-and-renovate and values are going through the roof. If you can find a good deal in Town N Country Park, don't wait a second to get it under contract. It is important to note that the narrative contained below is for sales through December for all previous years, but through the first ten days in September in 2018. The graphs and the closed sales table will be continuously updated into the future (meaning bookmark this page if you always want to know the current status of homes in Town N Country Park). Buyers continue to pounce on well-marketed homes in Town N Country Park. The combination of location and value are leading a resurgence in this popular neighborhood. The average home price in Town N Country Park thus far in 2018 is $186K. Activity in Town N Country Park remains hot. 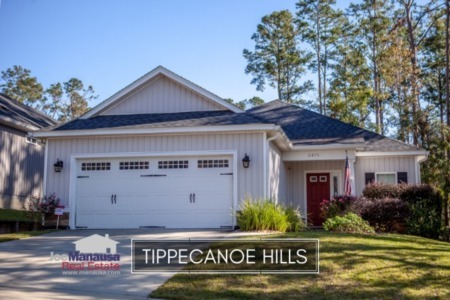 Currently, there are five homes for sale in Town N Country Park and three are already under contract. Average home values in Town N Country Park have shot significantly higher in 2018, up 19% to $113 per square foot. Town 'n Country home values are now up 57% from the bottom of the market in 2015 and down just 16% from the peak of the market recorded in 2006. The average home size sold in Town N Country Park typically falls in a range of 1,500 to 1,750 square feet, and this year we are seeing the same. The 11 home sales in 2018 have averaged 1,686 square feet. 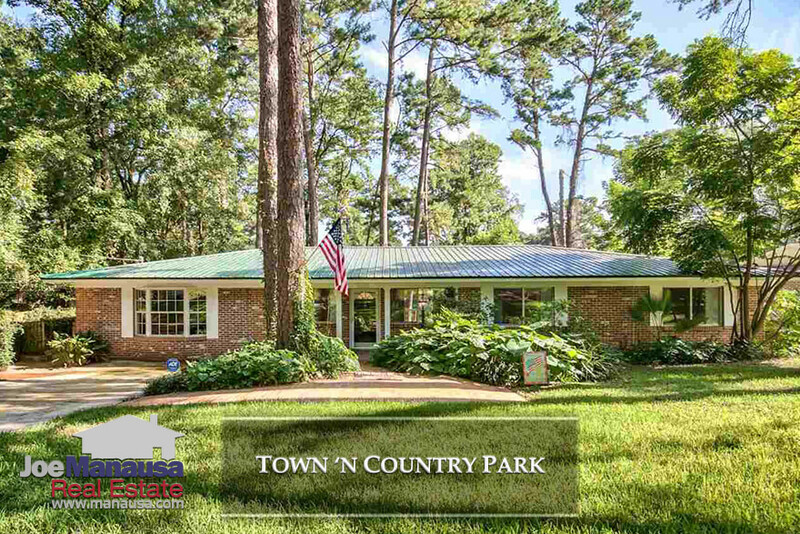 This concludes our September 2018 update on home sales in Town N Country Park, please give us a call at (850) 366-8917 or drop us a note if you have questions about this high demand location in central Tallahassee. 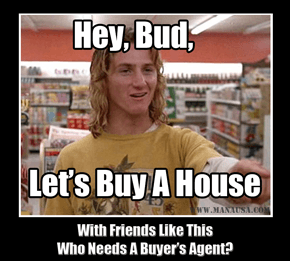 Take the time to find the BEST agent for YOUR specific needs! Here's what people are saying about working with Joe Manausa Real Estate, you can see hundreds of real customer reviews reported on Google, Facebook and Zillow right here: http://www.manausa.com/testimonials.